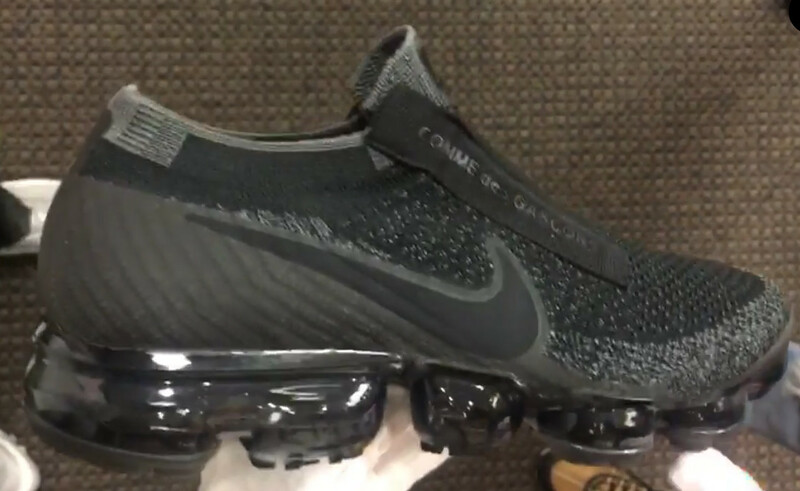 Comme des Garçons remakes the Nike Air VaporMax. While the Nike Air VaporMax is being touted as a performance shoe, that hasn't stopped one prestigious fashion house from remaking the model in what appears to be a NikeLab collaboration. Shown here is the special edition of the next-gen Air Max done by Comme des Garçons. The sneakers were worn by models at the recent Comme des Garçons Spring 2017 ready-to-wear show in Paris. 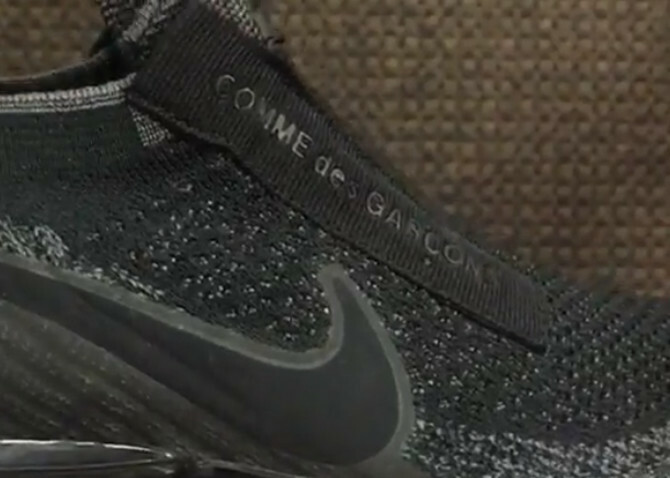 In addition to the on-feet angles from that show, more images are available below directly from Nike's world HQ in Beaverton, Ore. Those angles give a closer look at the CDG branding on the upper that comes via an attached piece of fabric. 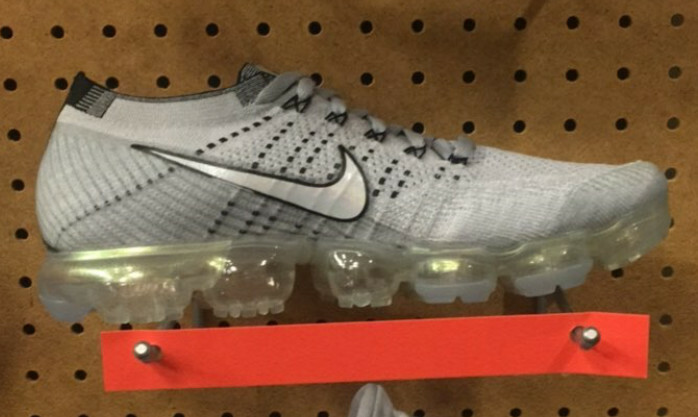 Readers should expect this Nike Air VaporMax to hit stores in 2017.